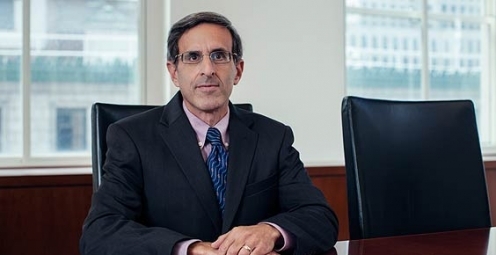 Steven R. Popofsky is a partner in the firm's Litigation and Risk Management Department. He handles a wide variety of complex litigation matters for corporations and partnerships, and provides ongoing business advice and counseling for individuals and family entities regarding a wide range of issues, including employment relations. Steve’s focus is on resolving matters cost-effectively to the extent possible and litigating them aggressively as appropriate. Steve represents defendants and plaintiffs in federal district and bankruptcy courts, the New York state courts, and before both the American Arbitration Association and Financial Industry Regulatory Authority arbitration tribunals. He has successfully argued appeals before the Second Circuit and First and Second Departments of the Appellate Division. Steve has been named a “New York Super Lawyer” every year since 2008. Litigated in federal court and arbitration to obtain multimillion-dollar price reduction from Saab International due to fraud and material adverse changes in connect with the purchase of a jet-engine repair company. Obtained a million-dollar summary judgment award against a national parking-garage operator on behalf of a former executive. Played a key role in winning a seven-figure arbitration award for a hedge fund against its prime broker. Defended an arbitration against a global financial services firm on behalf of a small company for which he not only avoided all liability but also recovered money on its counterclaim. Obtained dismissal on behalf of a Swiss investment advisor sued in the U.S. for securities fraud and related claims in connection with allegedly inadequate due diligence on Madoff investments. Obtained substantial relief with regard to right of first refusal in connection with real estate dispute. Represented hedge fund in arbitration defending against failure to redeem investments over prolonged period and obtained the right to make most of the redemptions in kind rather than in cash. Represented a Danish bank in collecting on undelivered oil warrants purchased from two global financial services firms. Obtained summary judgment dismissing all claims in action brought against entity which borrowed money to construct mobile power units that did not get built. Played a key role in defeating motion to dismiss, and ultimately obtaining favorable settlement, on behalf of international investors in connection with disputed real estate transactions impacted by recession conditions. Defended broker-dealers and their principals and employees successfully in multiple arbitration contexts. Obtained substantial arbitration awards and settlements in favor of employees and former principals seeking damages for claims including discrimination, relief from non-compete commitments, and avoidance of forgivable loan from a global financial services firm. Handled various adversary proceedings in bankruptcy court including successfully representing an individual supermarket operator alleged to have participated in auction bid-rigging. Obtained substantial relief on behalf of a minority member and former employee asserting claims of individual liability against a managing member of an LLC. Represented a club operator in invalidating a general release on the grounds of duress. Litigated on behalf of owner of landmarked commercial building to obtain a license, over adjoining property owner’s objection, to perform repair work above neighboring property. Obtained declaratory relief against an insurer wrongfully refusing to defend its insured. Defended credit card independent sales organization in defeating preliminary injunction motion arising out of claims for fraud, mistake, and breach of contract. Won appellate division decision on behalf of broker-dealer denying plaintiff ability to pursue claim against deep-pocket successor entity. Played a key role in obtaining an eight-figure settlement for an international business consultant without filing litigation. Obtained return of down payment plus additional compensation on behalf of real estate purchaser whose prospective seller was unable to satisfy lease covenant in connection with sale of property. Obtained a settlement for ten percent of claimed liability on behalf of contractor alleged to have inflated billings from subcontrators. Obtained a written public apology together with monetary payment on behalf of investment advisor alleging breach of fiduciary duty by former colleague. Represented a family with extensive real estate holdings in various litigations in federal and state court. Regularly advised property owners in connection with various contested real estate issues including lease disputes, restrictive covenants, estoppel certificates and interpretation and implementation of contractual provisions. Obtained dismissal of most causes of action alleging fraud and related claims against international antique timepiece company. Represented an individual art collector in obtaining relief against a major international auction house in connection with a dispute over the manner of exhibition of the art. Represented modeling agencies in various litigations and was later hired by former adversaries. Litigated successfully on behalf of several small companies in various fields such as contracting, recruitment, cosmetics, information technology, and non-profit and for-profit preschools. Represented various individuals in connection with diverse matters including favorably resolving wrongful-death action; retaining proceeds claimed by client’s ex-wife from sale of Martin Johnson Heade painting; defense of holdover proceeding and return of deposit for purchase of coop apartment; minimizing liability on personal guarantee in connection with textile imports from Far East; and obtaining substantially outdated expenses incurred by fashion photographer. Represented various UK car service companies in successful litigation and negotiation with U.S. partner firms. Represented a restaurant/tenant in protracted efforts to avoid proceedings and handled other litigations and negotiations on behalf of other restaurants and their principals. Negotiated resolutions of financing disputes within matrimonial proceedings.